In KWOW episode 133, I visit my friend Marcus Sakoda who draws for the various Fun Caricature locations around Seoul. We have a meetup at the entrance of Trick Eye Museum and he gives us a tour of his workplace. He's the one in the middle wearing the red hat. You'll see Marcus' work showcased around the shop. 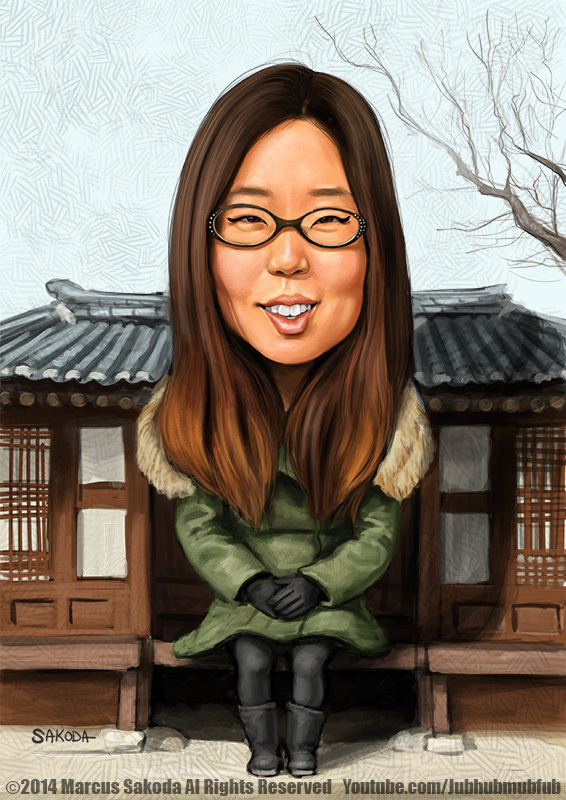 Recognize the famous Korean actor in the caricature below? There's also a handsome version of Kim Soo-hyun, which appears in KWOW episode 133. Here's the caricature Marcus made of Professor Oh. He drew it from scratch on the computer under two hours! Watch his speedpainting video below to see his process. Interested in getting your own caricature done? 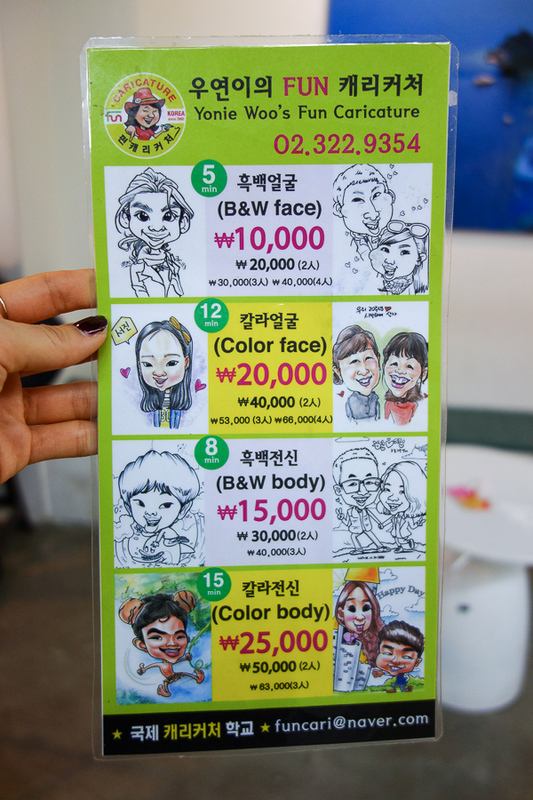 The Fun Caricature shops are located at the following locations: Ssamziegil in Insadong, Lotte World, Trick Eye Museum and a shop in Hongdae. Go to the right location and the right day, you just might get to meet Marcus!